The Top 5 Baggers Under $20,000.00! If you are a bagger lover then then discover the top five budget baggers that at under $20K won't break the bank! Admittedly everyone’s spending power is different, but the point of this article is to reveal the top 5 highly capable budget baggers that represent great bang for your buck. To set some parameters, we’ve got an upper limit of $20k, so we'll be looking for bikes that come with a bare minimum of factory fitted luggage and screen. If they also include some onboard infotainment systems, then all the better. So kick up the stand, clunk it into gear and let’s go. 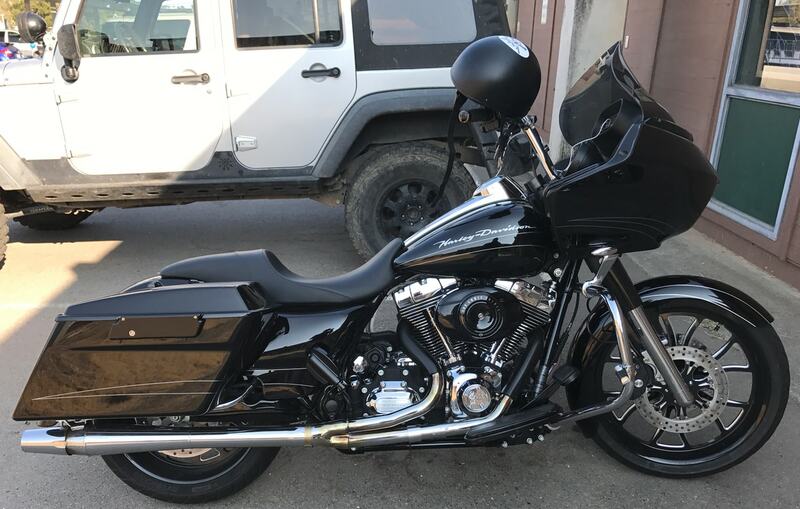 2018 Harley Davidson Heritage Classic $18,999! 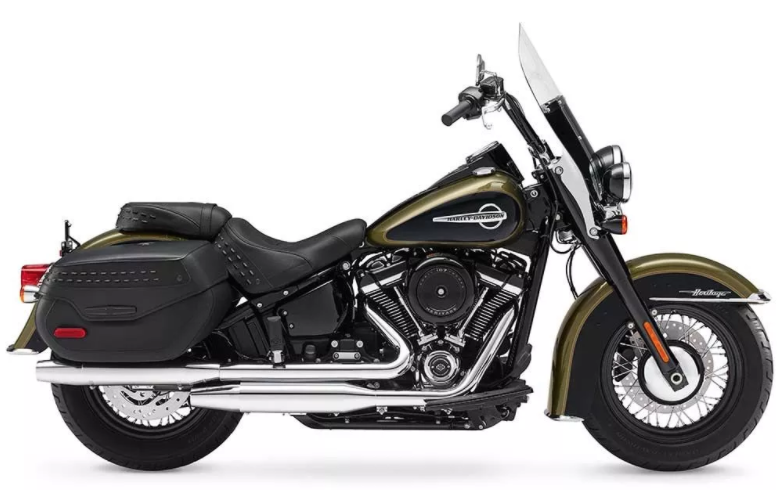 The Heritage now comes with Harley’s entirely new chassis and engine. Meaning that not only does the bike have some much-needed oomph, but the stable and secure handling will make those long runs a lot easier to live with long term. The whole world is undoubtedly aware by now that the bike features Harley’s all-new 107 ci Milwaukee-8 power plant. The eight-valve engine features extra cooling oil channels running through the cylinder heads, which is why the Heritage now sports a big old oil cooler between the frame tubes. The plus point is that it can run a higher compression, which translates to more low down pulling power. To handle the extra horses, the bike has an all-new frame and under seat Showa shock with matching Showa forks up-front. For 2018, the classic also gets keyless ignition, lockable bags and two touring must-haves, cruise control and ABS. Kawasaki Concourse 14 ABS - $15,599! Who says baggers have to be boring and with 132bhp on tap, the last thing you’re going to be on the Concourse 14, is bored. 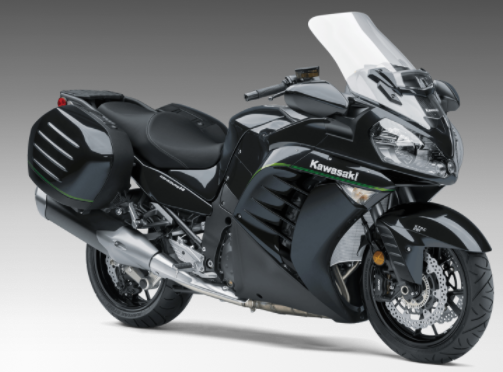 The four-cylinder 1352cc Kawasaki is aimed at the sports touring market, but when you’ve got to cover a lot of ground fast, then the 14 could be your missile of choice. On the subject of speed, you'll be relieved to know that the ECU limits the top end to a mere 150mph! Even at Autobahn speeds (yes it is legal in Germany), the sports bike quality handling is never going to let you down. The bike is refreshingly bereft of electronic rider aids but for this year has had a suspension upgrade and lowered first gear to help with pulling away fully loaded. The ABS now runs a program for better response, and the newly contoured seat is also non-slip. For some reason, the big Yamaha often gets overlooked when it comes to touring duty. This oversight is a shame, as not only is it fast, but it handles impeccably and is all day comfortable. The latest top of the range version is the ES, which comes with an electronic suspension that can alter front and back suspension while on the move. The FJR also comes with two ride modes (to adjust throttle response), cruise and traction control. Heated grips come as standard, as does the unified ABS that operates the rear brake and front right caliper with one touch of the pedal. LED now features in all the lighting, and the electronically adjustable screen has just over five inches of movement. Two significant improvements, in particular, mark the Yamaha out as a serious mile eater. These are the addition of a sixth overdrive gear and an easily attainable 200+ miles to the tank. 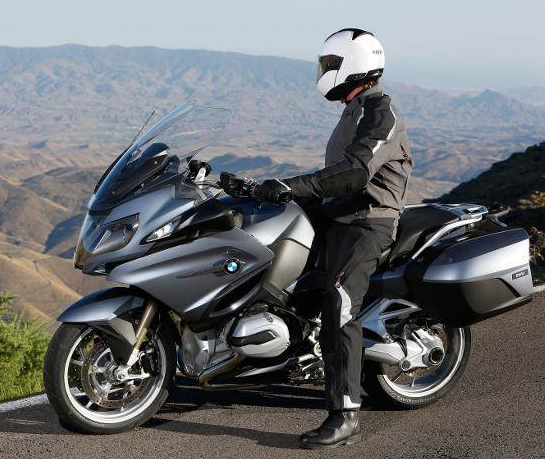 The BMW RT has been in continuous production since 1978 when it was one of the first full-on touring motorcycles to be offered by a manufacturer. Like the Moto Guzzi Californian, the RT has always had its very own loyal fan base. 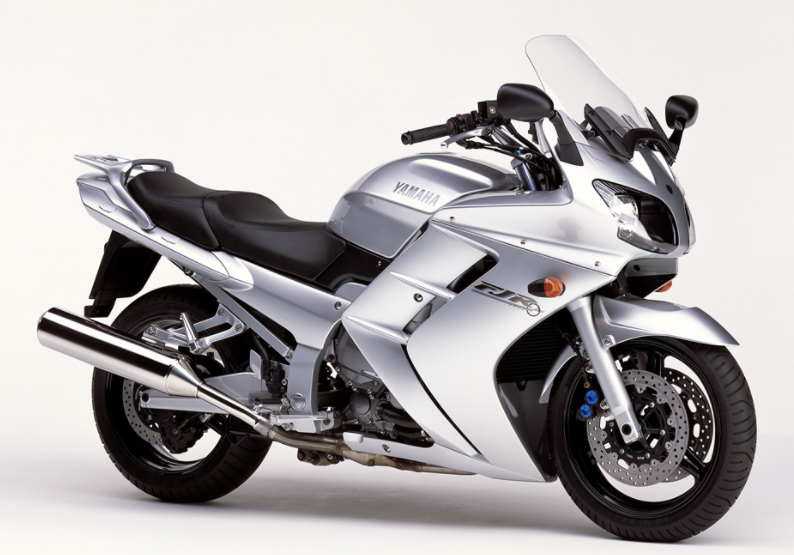 However, the runaway popularity of BMW’s GS and K1600 means that the humble RT had been left behind like some two-wheeled Cinderella. Those in the know are only too aware of the 125bhp, 1170cc water-cooled boxer engine's ability to shrink the world in abject comfort. At just over 600lbs, the big Beemer is no lightweight. Thanks to that flat twin engine, it carries a lot of its weight low down. This weight distribution not only assists with the RT’s excellent handling but also makes it easier to maneuver from the saddle. Depending which model you spring for, there is a whole host of electronic additions from cruise control and semi-auto gear changer to heated seats, all guaranteed to make the miles fly-by. No wonder police forces all over the world swear by them. 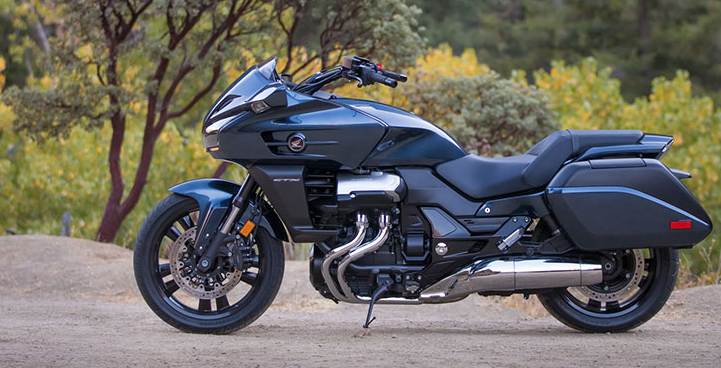 The Honda CTX is one of those love it or hate it bikes. Unfortunately for Honda, the majority of bikers seem to be in the latter category. In theory, the CTX should tick all the boxes. At the heart of the bike is a detuned version of the ST1300 Pan European V4 engine, which stripped of all its bodywork, looks stunning. Wrapped around it is a conventional steel tube type frame and as you would expect on a motorcycle like this, it’s shaft driven. The CTX has all of the touring type accouterments such as a wide half fairing, low contoured seat, hard bags and even integral stereo speakers in the fairing. Out on the road, where it counts, these all work well enough together. The engine is smooth and torquey to a degree and the handling surprisingly good, if a little under-damped. The bike is by no means perfect, the panniers won't take a helmet, the screen is too low, and it does need a sixth gear. If you read every review, since the bike's launch in 2014 though, there does seem to be one reoccurring complaint. Despite its Judge Dread styling, the CTX does its job too well, and as a result, many say it's therefore, soulless. With a five grand saving over the F6B though, that’s a lot of pocket change to add some soul. We’ve all made those crazy cross-country runs with a bedroll strapped to some rusty junkyard special. As you get older, clocking up the miles on a bike that won't leave you wrecked after a day in the saddle is important. All five of our top budget baggers bring something different to the table, but whether you want far and fast or a more leisurely pace, just remember, the journey is almost as important as the destination. And then there is this bagger I stumbled across as I was dropping my daughter off at practice.